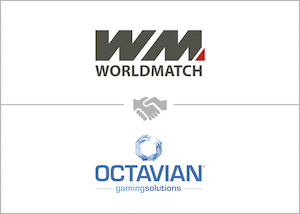 Italy’s Octavian Gaming Solution has taken a 50 per cent stake in WorldMatch, the online gaming company. WorldMatch, also based in Italy, has a portfolio that includes over 200 games, 160 slots and 30 table games for the mobile gaming business. The company will continue to be run by Andrea Boratto and the chairman of the board is to be Mauro Crivellente, the chairman at Octavian.